Can Factory collaborated with Vista to ensure the seamless integration of the VOX web application (developed by Can Factory) with a variety of Vista back office modules. Essential to this was ensuring the smooth transition from VOX’s legacy online applications over to the newly implemented infrastructure running the web application and mobile apps developed by Can Factory. A phased approach was taken to migration, with the initial soft launch of the Can Factory developed VOX iOS app in April 2016. This was followed in June 2016 with the release of the VOX Android app. The VOX legacy website was simultaneously retired with the launch of VOX’s new responsive website – a bespoke software solution created by Can Factory’s development team. 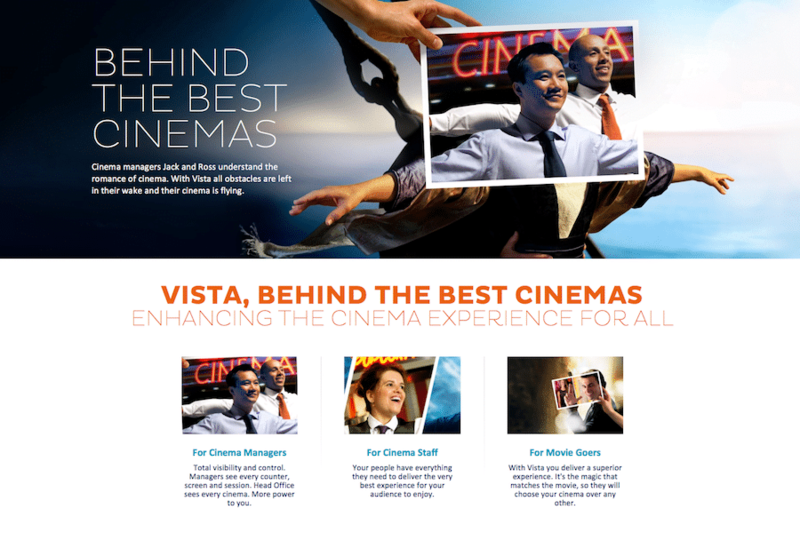 Building on several years of previous experience working with Cineworld Cinemas and Vista in the UK, Can Factory have been afforded another opportunity to integrate with a wide variety of the Vista product suite. Working in close collaboration with Vista Group, Can Factory are supporting VOX Cinemas with the introduction of new features to continually improve the VOX online customer experience. Can Factory continue to work in close partnership with VOX, Vista, and other cinema exhibitors to drive innovation and expand the breadth online integration for both customers and distributors.